Donald’s courageous battle with cancer ended on Saturday, October 27, 2018, when he passed away peacefully at his Kemptville home. Throughout his illness, his family, friends and neighbours, along with the professional care of nurses and doctors, provided constant comfort and support. 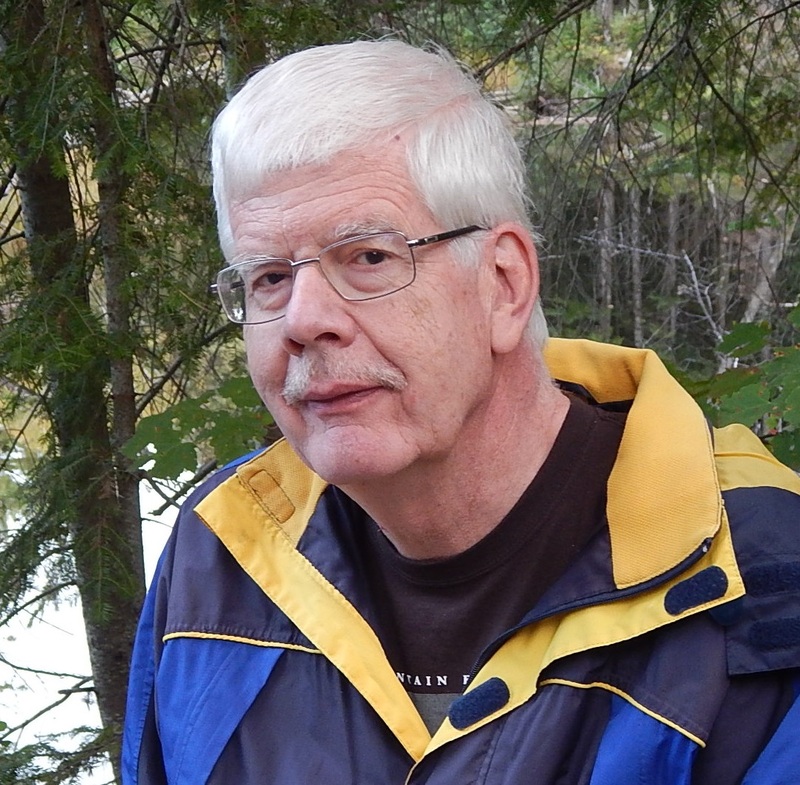 Donald was a dedicated physics, science and math teacher and teacher-librarian at North Grenville District High School for 36 years. The Ferguson Nursery Forest provided him the opportunity for many hours of walking, cycling, cross-country skiing and nature appreciation. A longtime member and elder (45 years) of St. Paul’s Presbyterian Church, Kemptville, Donald was very supportive of the ministry and served on committees, taught Sunday School and served as Church Historian. In the community, he did volunteer teaching at the T.R. Leger School, helped with the “Fun with Books” program, and attended “Youngsters of Yore” and Historical Society meetings. He will be dearly missed, but will live on in the hearts of his wife Judy, his daughters Nancy (Steve), Catherine (Darren), Karen (Erik), his brother George, sisters-in-law Marie, Brenda (Ernie), Janice (John), nieces and nephews Moira, Sheila, Carrie, Regan, Dallas and T.J., several cousins, and many close friends. Visitation: Thursday, Nov. 1, 2-4pm and 6-8pm. A Celebration of Donald’s Life: Friday, Nov.2, 2:00pm. Both visitation and service at St. Paul’s Presbyterian Church, Prescott St., Kemptville. Memorial donations to St. Paul’s Presbyterian Church or the Canadian Cancer Society will be gratefully acknowledged by the family. One of a select and few teachers who really, taught and engaged. My condolences to all Family and friends. Our sincere condolences to you Judy and your wonderful girls Nancy, Catherine and Karen. I know Don was a dedicated husband, father and teacher. You are in our thoughts and prayers. Sincerely Brenda and Glen Johnston and family. Our condolences to the Messenger family. I was so lucky to have taught with Don for most of my teaching career – he was so kind, gentle and giving. His sense of humour and endless patience was always inspirational. He will be missed. Sincerely, Clair, Dave and Will Sadler. Uncle Donald was a towering titan of humanitarian grace and goodwill (as is his wonderful wife, my aunt). I regret that I could not spend more time with him, but such is life and distance. His influence on his family, students, and community is an enormous legacy that will last forever and that has led and guided others onto paths of success and virtue. He was the greatest of men. We cannot be at the November 1st service but Messengers please know that you are all in our thoughts and prayers! We are all thinking of you at this trying time. Our sincere sympathy goes to Judy, Nancy, Karen and Catherine. My condolences to all of Don’s family. I was very lucky to start my career with the Upper Canada Board fifteen years ago working with Don as my teacher-librarian at North Grenville. I will always remember his kind, patient demeanour and how much he truly enjoyed his profession and the students. My deepest sympathy to the Messenger family. Our sincere sympathy to all the family. Grant & I are thinking of you at this sad & difficult time. I will remember Don as a true gentleman. I knew him as a fellow teacher and he was always positive regardless of the circumstances. He was quiet but had a smile for everyone. Whether he was in his science classroom or in the library, he worked with students and teachers in an respectful and interested manner. My condolences to Judy and the family. Our sincere sympathy to you Judy and all your family. Know you are in our thoughts and prayers. I met Don in the early ’80’s when we were taking our Librarian’s qualifications in Ottawa. Our paths crossed several times over the next 20+ years. Don was a genuinely fine person. My condolences to his family.